In Phuket, I would recommend the Royal Tandoor in Patong. Service is always good, food tasty and lots of it. The only negative is that they seem to be scared to make the food spicy - even extra spicy seems mild to my taste. My favourite in Bangkok is probably a bit predictable, but I cannot fault the Rang Mahal at the top of the Rembrandt Hotel. The service is good and attentive, and the food is exquisite. They have a set menu that is just course after course of wonderful Indian food. The only problem for me is that the set menu is far too much food for one person - I am unsure if they would allow two people to share a set menu for one. Anyone know? Don't like going to Bangkok, but if a visit to Rang Mahal is as good as you say, it will take away some of my hatred for the metropolis. Go on a Sunday lunchtime for the buffet at 850 Baht....not just for the value but to enjoy more variety of food. since when has Indian food become western food? Indian food is one of the most popular foods in the UK (the West). Not surprising really due to the balance of native Brits and immigrants! But you are correct. Perhaps the mods/admin would care to move the thread to International food. (BIR) British Indian Restaurant food is 100% western, it was Indian & Bangladeshi food that came over to the UK & was bastardized to suit the British pallet. Chicken Tikka Masala was invented in Scotland & the Balti was invented in Birmingham so I would definitely call it western food. You live and learn. Thanks for that info Rick. Nobody seems to care enough for us expats that live down here in lower Isaan. Short of popping over the Cambodian border to Siem Reap where there is a plethora of Indian restaurants (some very mediocre) we have to make do with those that are sold for home consumption. Nookie Bear provides a few along with his other wares, whilst we are fortunate perhaps to have Little India curries produced in Surin. The late Martin from Farang Connection offered a few on his menu, but I think they are no longer available. Which is the best one in Siem Reap? other members that are going there for a holiday might be interested? It's all down to personal taste I suppose, but having tried many in Siem Reap, my vote goes to Dakshins. I know the thread is about Thailand but, as the question has been asked about Siem Reap, I would put Dakshin's streets ahead of any of the other Indian restaurants. Ranked no4 on Trip Advisor. not related to Thailand but has anybody ever had indian curry at any of these fine places in south wales. one of the oldest and in one of the [was] roughest places in Europe THE BOMBAY BUTE ST CARDIFF. the curry was out of this world with most of it on the walls SWEATY BETTY'S MILL ST.PONTYPRIDD. this one would make the hottest that you could stand THE JALPOUR TAFF ST.PRECINT PONTYPRIDD. now there is an up market franchise who are pretty good THE CINAMON TREE PETERSTONE NEWPORT. but I have had a few in Thailand I could only describe apart from mrs.balburs as dish water. 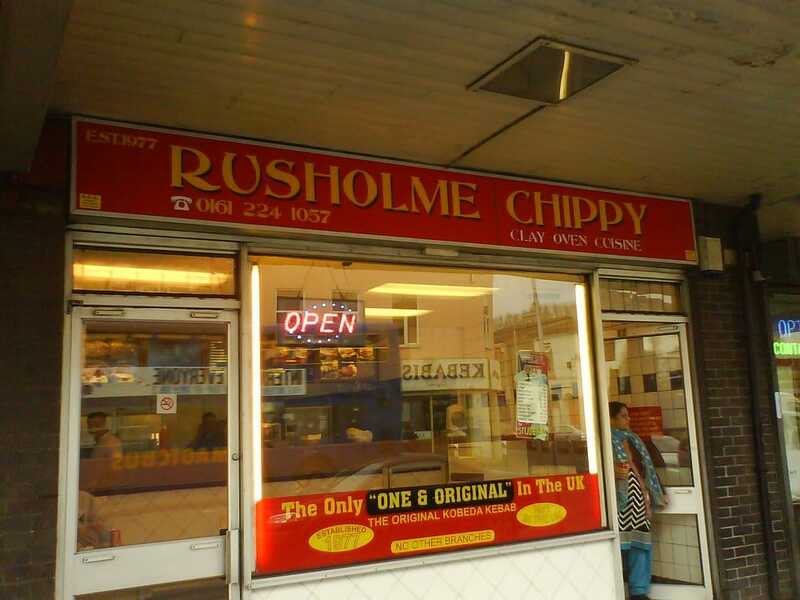 I have not tried any of the ones you mention but they sound great, I grew up near 'Curry Mile' in Manchester so I was spoilt for choice, the best Indian mixed kebab I have ever had (many times) has to be 'Rusholme Chippy' which is on the curry mile. p.s. I think its fair for anybody to mention Indian restaurants, takeaways, or street food that is not in Thailand as many people travel & its always nice to have recommendations of where to eat, I will try to change the title of the thread if that's possible. I went to an Indian restaurant in Ilkley, some 35 years ago (must have been one of the first Indian restaurants) i recall the food was fantastic. The restaurant was all done out in pine wood. It was clearly an upmarket sort of place as most of the diners had jackets and ties on. I did too, but not because I was visiting the restaurant. it was a very hot evening, so I removed my jacket and tie. Some 10 minutes later the proprietor, having given me a filthy look, announced that as it was a hot evening, "gentlemen may remove their jackets". What a load of bo....ks! Today, and for as long as I remember, anything goes! I will definitely give the Garam Masala a try next time I'm in Pattaya, thanks for the recommendation. I should probably start compiling a list of all the best places to eat Indian food in & around Thailand from the recommendations of the Thia Visa members. I have tried the dinner BUFFET at Garam Masala. I was not impressed by the quality so I would not recommend it. There are better options in town for Indian dinner buffets (similar prices). I can't speak to the a la carte menu but am now inspired to try it. My impression is that it is a LARGE TOUR GROUP buffet restaurant for the most part and haven't really noticed people ordering off the menu. But perhaps I'm wrong. It happens. Birmingham,manchester,Yorkshire,they were all great curry houses but without doubt sweaty betty's [ponty] was the best,it was next to the first Chinese to open in ponty. jim hong, he let us go next door get a curry sauce to go with our Chinese great days for over 40yrs.ago.